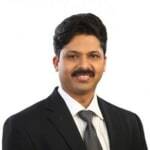 Dr. Benedict Raj is a trusted cardiac surgeon in Bangalore. He has been a practicing heart surgeon for over 17 years. He has trained in advanced heart surgery from Narayana Hrudayalaya, Bangalore, and Sydney Australia,. He is also a world class certified Pediatric cardiac Surgeon. He is currently practicing at Columbia Asia Hospital Whitefield Bangalore and ASTER Ramesh Hospitals Vijayawada. Don't wait in a queue, book an instant appointment online with Dr. Benedict Raj on Lybrate.com. Hello I am 34 male height is 5.11 weight is 74 kg suffered heart attack on Jan 9 2017 now after one year my Dr. had advice me to do lipid profile sugar vitamin d12 n ask me to do tmt n 2d echo I want to know can a blockage can be detect in 2d echo if tmt comes positive n 2d echo comes normal what should I do or go for please guide me. Hi lybrate-user, though blockage could not be directly detected by echo, however wall motion abnormality which could be detected in echo shall be indirect method of detecting blockage. If your TMT IS positive ,please follow up with your cardiologist advice. Blocked Arteries - What Are The Reasons Behind? But what causes these arteries to block? Sedentry lifestyle is the most primary reason of these blockages. Cigarette smoke increases the rate of atherosclerosis in the arteries of the heart, legs, and the aorta -- the largest artery in the body. Also, there is an increase in the risk of heart attack if a first-degree relative (parent or sibling) has had a heart attack or stroke. That is mainly seen when the relative has had a heart attack before the age of 45 if they are male, 55 if they are female. High levels of ''bad'' cholesterol, or low-density lipoprotein (LDL), are also the major contributors to arterial plaque formation. Having high blood pressure also increases the rate at which arterial plaque builds up. It also hastens the hardening of clogged arteries. LDL a normal component of blood (upto certain limit) starts depositing in arteries as early as 10 years of age! LDL above a certain limit in blood starts depositing in the arteries. Diabetes, Hypertension, smoking, less exercise and genetics makes it more sticky thus making narrowing faster. This is why these risk elements need to be properly attended for prevention from heart disease. For treatment medicines are important for stopping the progression of narrowings; angioplasty is a method of fast resolution of blockage; and bypass surgery is the method of creating a whole new blood supply for the affected part of the heart. If you wish to discuss about any specific problem, you can consult a Cardiologist. How Cardiopulmonary Resuscitation (CPR) Is Helpful in Cardiac Arrest? If an AED is available, place the electrode pads on the person’s chest as shown in the diagrams that come along with the AED. Follow the visual and voice prompts. Do not worry if the AED shocks the patient as this electrical therapy can help restart the heart. If you wish to discuss about any specific problem, you can consult a Cardiologist. Lifestyle Changes After A Heart Attack! Maintaining your mental health: Once bitten, twice shy applies for heart attack victims too. Not only do they live in a constant worry about another attack, every small symptom like a harmless muscle pull can trigger the fear factor. You also get into the "heart patient" dependent mode based on how much help you need to recover. Check for support groups and other heart attack survivors in your locality to see how they are coping. Read more about your recovery and try to keep a positive frame of mind. Make a change in your lifestyle: Quit smoking that is an obvious one. You'll now have to lead a more active lifestyle with daily exercise. You'll also need to actively manage your diabetes and obesity. None of these changes can happen in a day. In fact, behavioral scientists suggest that you need to practice a new activity continuously for twenty one days for it to become a habit. If you wish to discuss about any specific problem, you can consult a Cardiologist. The heart pumps pure blood to all parts of the body through a network of arteries. These are thicker in the beginning and become finer and thinner as they reach the various organs. These arteries are lined by a layer of epithelial tissues and as blood flows through them, the heavier cholesterol / fat molecules settle down along the walls. This attracts more and more fat molecules to settle down. This is known as atherosclerosis (hardening of the arteries). Over a period of time, the vessels circumference reduces and the blood supply to the target organ reduces. This impacts proper functioning of these organs and when this happens to the major organs like the heart, kidney or the brain, conditions like stroke or thrombosis or heart attack can occur. This condition, known as coronary artery disease, is becoming a major cause of deaths. While that is the bad news, the good news is that it is largely lifestyle dependent, and if steps are taken, it can be prevented, and in the early stages, the damage completely reversed. 1. Diet: A low-fat, high-fiber, heart-healthy diet consisting of Omega-3 fatty acids is recommended by doctors, especially to people who are prone to develop heart disease. This also requires reduced salt, increased unsaturated fats, reduced triglycerides and reduced sugar. Include loads of fresh fruits and vegetables, whole grains, nuts and seeds and fish oils. Include multivitamins or other supplements after checking with your doctor. 2. Exercise: Regular exercise in any form increases the efficiency of the circulatory system, keeps the cholesterol levels in check and helps in blood pressure management. Exercise in any form is advisable, based on individual preference. A moderate physical activity of 30 to 45 minutes per day is advisable. 3. Smoking: This is one of the major risk factors for smoking, and quitting or controlling smoking is one of the best methods to prevent coronary artery disease. 4. Alcohol consumption: While moderate alcohol consumption is believed to be healthy for the heart, excessive alcohol consumption is a strict no-no. Binge drinking especially is shown to cause heart attacks. 5. Weight management: Check with your doctor on what is ideal BMI for you and work out a plan to keep your weight under check. 6. Regular medications: If you are on blood pressure or diabetes medications, ensure you do not miss them. Keep a constant check to ensure your readings are managed well. 7. Watch out: Ask your doctor if there are specific symptoms that you need to watch out and seek medical support if you see any of them. Coronary disease is not treatable fully, but can be prevented and managed effectively to improve the overall quality of life. If you wish to discuss about any specific problem, you can consult a cardiologist. My husband is 70, a heart patient, and has a pot belly. We eat all the right foods and are on a constant diet! I don't know what I'm doing wrong! Need help please. As we grow older we need less food to do the normal duties. I suggest you find ways to avoid sugars, move onto low carbohydrate diet and keep only small meals 3-4 times a day. Especially at night. During the day he should try to do as much house work as possible, until he can start walking outside the house and if possible start exercising as guided by the regular cardiologist (heart doctor) you are consulting. Wish you all the best. When I jogging my heartbeat increase very high then I can't walk very long time what is reason for that? How long have you been jogging, if recently started, as you are a young growing man, I recommend you slowly increase your activities. You should take short rests until your heart beat settles and then start jogging again. If this continues beyond one month, you should get a cardiologist to check you. My dad has undergone open heart surgery, kindly suggest the diet for a healthy life. Follow your doctors advice. After one month of surgery, he should start exercising as suggested by your physiotherapist. I have undergone angioplasty three years back I feel my stamina very low. What is chelation therapy is it useful to remove blockage.